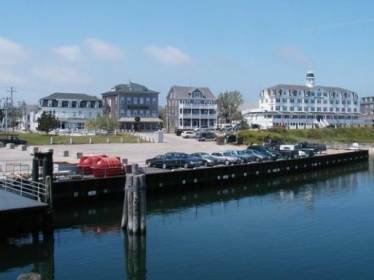 Located approximately 13 miles off the coast of Rhode Island, Block Island is a popular summer tourist destination known for its bicycling, hiking, sailing, fishing, scenic beaches, and two historic lighthouses. 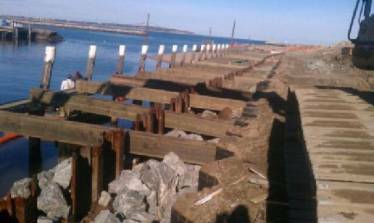 In 2011 the US Army Corps of Engineers scheduled the steel sheet pile bulkhead and timber wharf of the Block Island Harbor of Refuge, known locally as “Old Harbor,” to be repaired and replaced. The contractor selected to perform this work called Portland Bolt for the domestic hardware required on the project. Portland Bolt manufactured several thousand custom galvanized lag bolts and hex bolts from ½” to 1” in diameter and ranging in length from 3” to 26” long. Our in-house hot dip galvanizing line gave us the production capability and quality control to ensure that all of the custom galvanized fasteners would have clean, useable threads after being shipped coast to coast and then traveling via ferry across Block Island Sound to the small island in the Atlantic Ocean where the job was located. 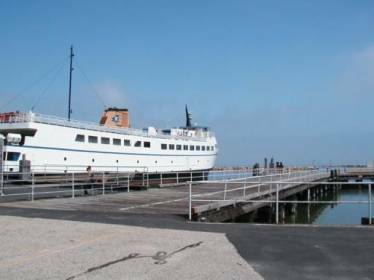 Performing much of the work from floating platforms and jack barges, the contractor was able to complete this challenging project with the added peace of mind that came from knowing that his custom galvanized fasteners would arrive on time, in the correct configurations, and with high quality galvanized threads. If you have a marine project or job that requires galvanized threaded fasteners, contact one of our experienced sales staff!